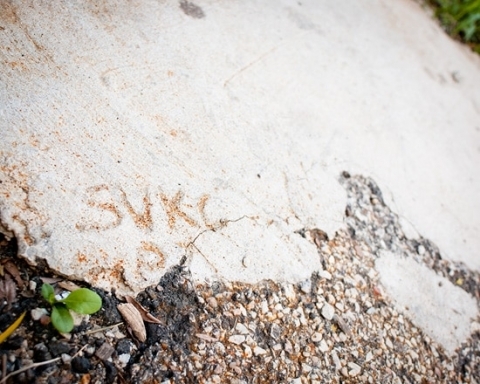 Yup, it says SVKC as opposed to SVKV or something equally married-like. That’s right folks, we were (gasp!) unhitched when we signed the papers to a life of debt together. Of course the bank didn’t mind. Those were the days when mortgages were being tossed around like Skittles on Halloween and we were (are) blissfully in love! But I digress… As you now know, it’s officially been 4 years since we acquired the keys to our humble abode, and my concrete love note is still holding strong. A crack in the 7 seems to be growing each winter, but our initials are weathering the alley harshness nicely. So, spill the beans, friends. Has anyone else ingrained any brownie-point-grabbing permanent sentiments in or around your home? 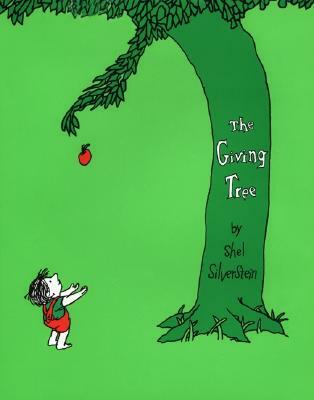 Any Giving Tree style initials scrawled somewhere permanent?